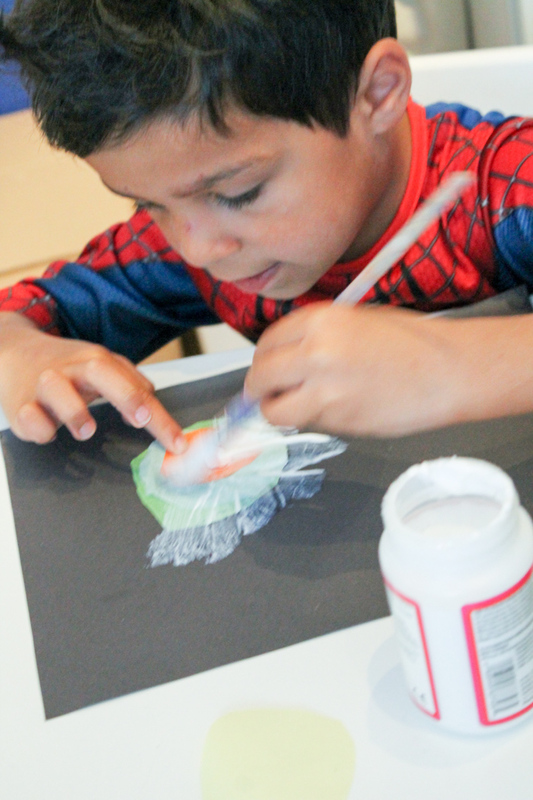 We’re joining together with a group of blogging friends with children around 2nd grade age, to put together some simple art projects inspired by famous artists. Our project is all about Wassily Kandinsky, one of the earliest abstract artists. Kandinsky is perfect to introduce to kids who are worried about their pictures or artwork not looking ‘realistic’ or coming out a certain way. Kandinsky is a Russian artist who studied in a fine art academy, and his very early work is more realistic before he started moving towards an abstract style – with a big focus on colour. He wanted to use colour to represent feelings, and use art to interpret music. 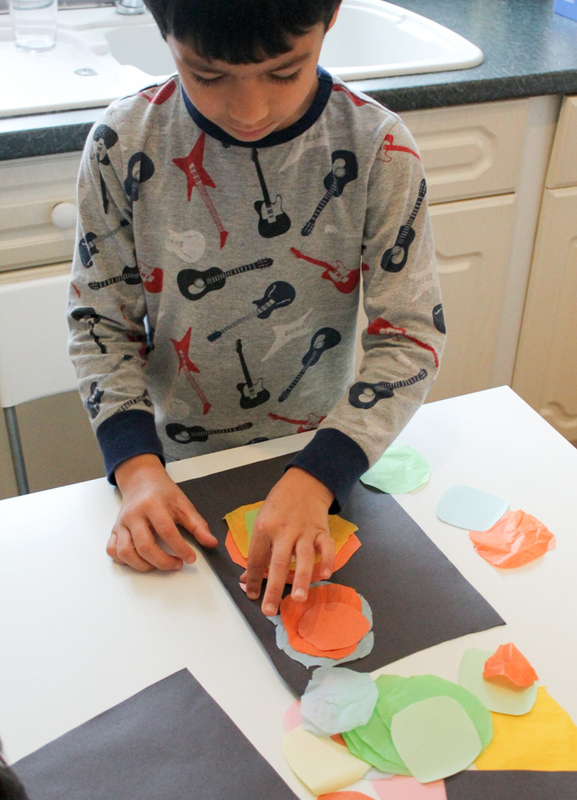 My 7 year old was already familiar with Kandinsky from school and was keen to have a go at making a Kandinsky style picture of his own, and his 4 and 5 year old brothers were happy to join in too. 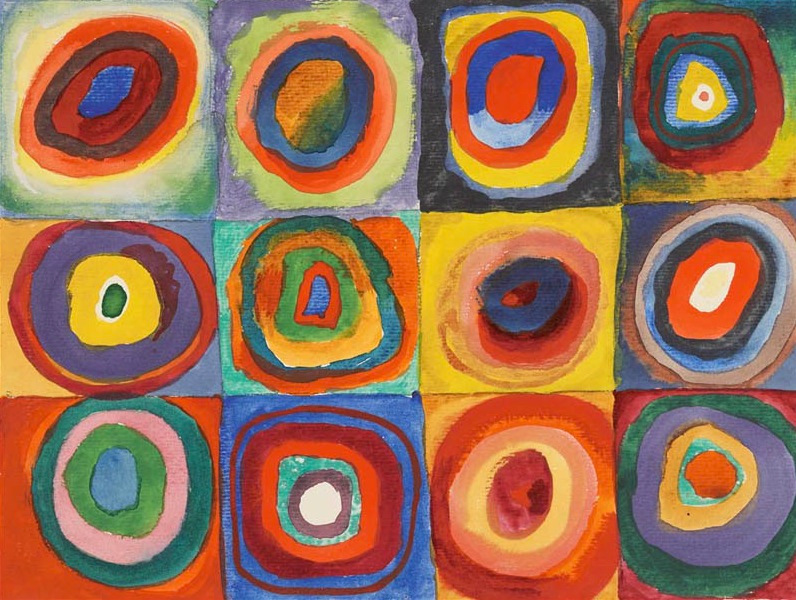 We decided to do our own art project inspired by one of his most famous works Squares with Concentric Circles, painted in 1913 (shown below) This style of art is so great to try out with all ages. 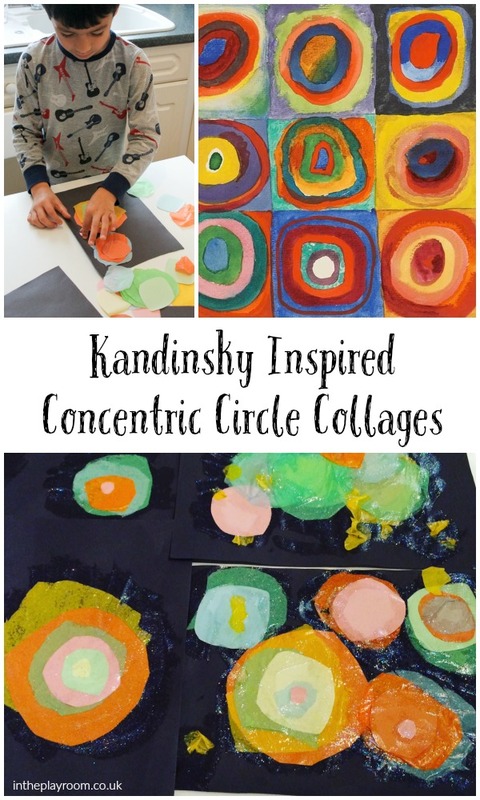 You could even do one concentric circles painting each year and then put them all together into a grid to see how your child’s style changes over time. We made our own Squares with Concentric Circles using cut out coloured paper (we used a variety of paper types form tissue papers, to post its to construction paper) and set out the pictures on a black background. The boys wanted to lay everything out first, and be free to move things around as they changed their minds so they just laid everything out on the paper and when they were set on their designs we modpodged right over the top to keep everything in place. 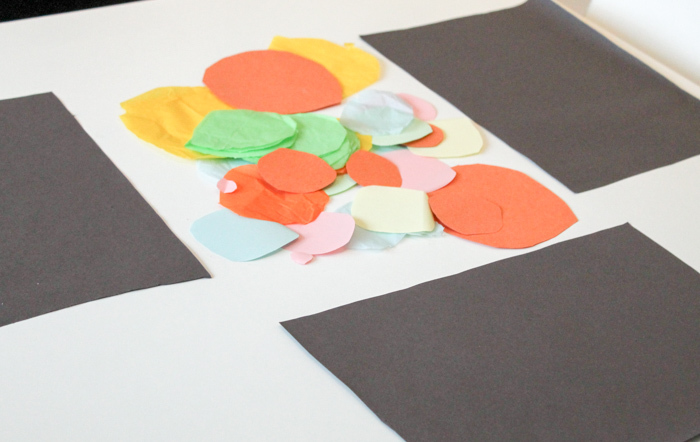 A super simple way to introduce Kandinsky and talk about shape, colour and abstract art! Be sure to check out all of the great Famous Artist ideas from the 2nd grade blogging team!